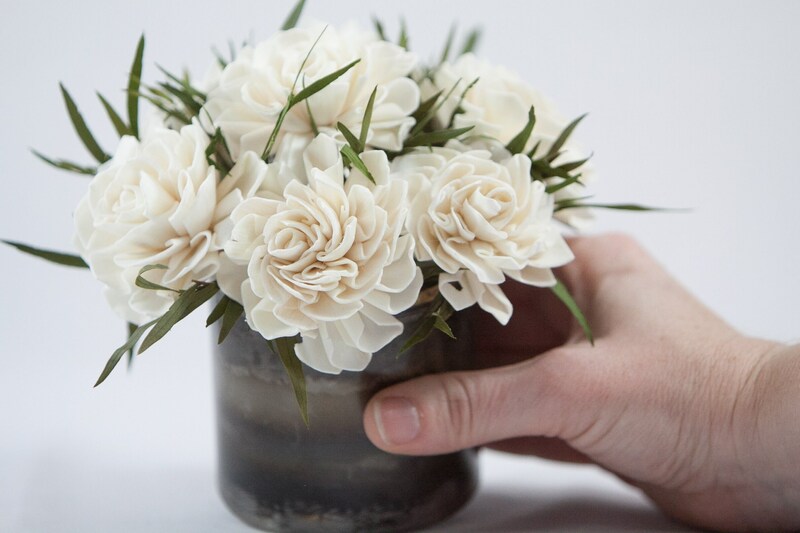 This cream colored floral arrangement is a great keepsake arrangement that will last for years. Great for home décor or use as wedding / event centerpieces. 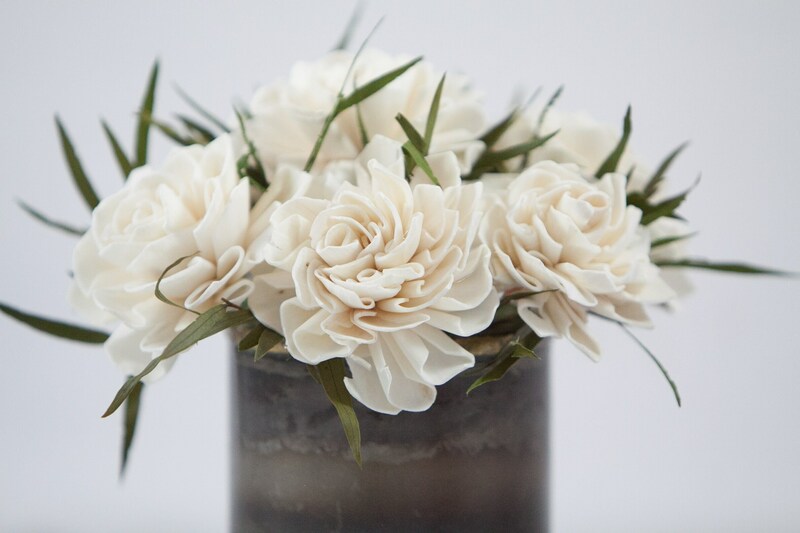 Flowers/Colors: ivory or cream colored dahlia sola flowers, dried and preserved green eucalyptus. Container: 3" x 3" cylinder metal container. 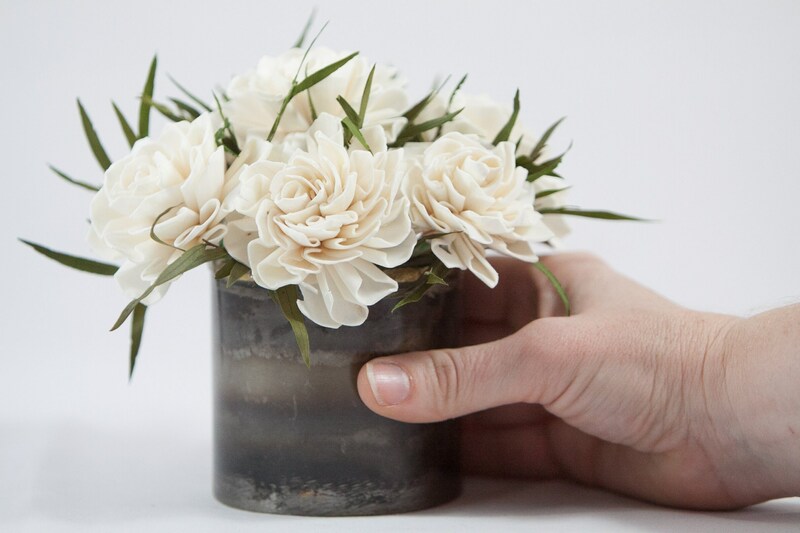 Arrangement Size: Approximately 5.75" tall, by 6" inches wide. Care: Bright light okay, direct sunlight eventually will fade the preserved greenery some. Not recommended for areas with high humidity. Do not water. These are absolutely gorgeous, so much better than I could have anticipated! Thank you!